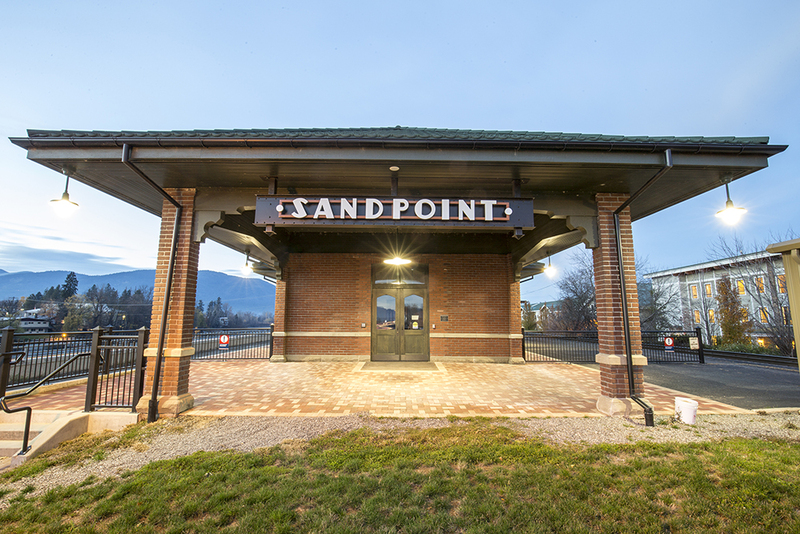 The Sandpoint Amtrak Train Depot turns 100 years old this month. I’ve got to say: For a century old, she still looks pretty good, although there was some extensive cosmetic surgery performed. 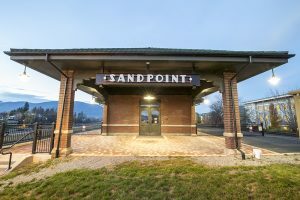 The Sandpoint Historic Preservation Commission (SHPC) invites the public to celebrate the Depot’s 100th birthday in style on Wednesday, Nov. 16, at Idaho Pour Authority, 203 Cedar St. The commission is hosting this event from 5-8 p.m. to help raise funds toward creating a Historic Walking Brochure for Sandpoint. Sandpoint’s Amtrak Train Depot. Photo by Cameron Barnes. The idea is to create a “walking tour” of the historic downtown district in Sandpoint, which includes several buildings on the historic registry. The Train Depot is currently classified on the national registry of historic buildings, while other locations such as the Heartwood Center, the Panida Theater and the Turner-Nesbitt House are recognized on the state registry for historic places. The fundraiser will feature a silent auction with items donated by local artists such as Leatta Judd and Dann Hall, live music by Marty Perron and Doug Bond, a raffle and lots of fun activities. C is for Cake will be providing delicious desserts, and Laughing Dog Brewery will be supplying their local brews. There will even be a vertical flight of rare stouts and porters from 2007 to 2014. Proceeds from the event will go toward the creation of the brochure, which is estimated to cost around $5,000. There will even be a surprise visit by a “conductor” with local historian Aric Spence, who will dress in an authentic conductor’s uniform. The SHPC is a group of devoted local citizens concerned for improving and protecting the city’s unique historic and cultural resources. They help facilitate the identification, evaluation, preservation, restoration, protection and enhancement of historical, cultural and archaeological interests. SHPC hopes to encourage and engage the preservation of historic architecturally significant properties, promote their potential, practical and useful opportunities and to establish compatible development within areas of historic properties, neighborhoods and districts. The Train Depot was honored last May at the annual Orchids and Onions award ceremony, which took place at the Sandpoint Event Center. The process to renovate and preserve the Depot was a long and arduous one, culminating in a cosmetic makeover that saved the structure from its likely demise. Come down to Idaho Pour Authority on Wednesday, Nov. 16 to support 100 years of history in Sandpoint. Donations are happily accepted. Here’s to another century!